Fat transfer is a popular technique, and although it’s well-known for procedures involving other body parts, it can be a great option for the face. Some patients seek dermal fillers because they offer reliable results, but in many cases, a simple fat transfer to the face is the better option. Fat grafting involves extracting fat from one area of your body and transplanting it into a different area. Since it’s less invasive than some alternative procedures and delivers great results, it could be the solution you’ve been looking for. Unfortunately, you cannot escape the effects of aging, but with the help of a fat transfer to the face, you can fight back and reclaim a youthful appearance. When the signs of aging begin to form on your face, they cause drooping eyebrows, wrinkles and frown lines. 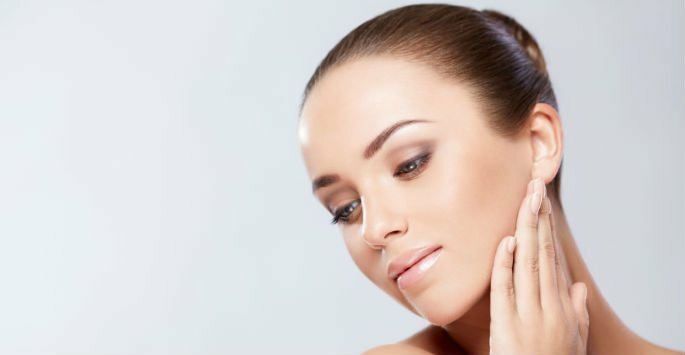 Since aging also causes volume loss, your cheeks will begin to deflate and flatten. A few other signs of aging in the face are reduced skin elasticity and larger pores. Today, various acids and supplements can help to restore a youthful appearance, but you might want to consider fat injections. Many patients have achieved increased facial fullness with a fat transfer to the face. Fat grafting is another name for this process, and over time, the techniques have improved. In most cases, the fat used for the injections is taken from the abdomen, thighs, buttocks or hips, depending on the situation. Once the fat has been extracted, it’s purified. After the harvested fat has been adequately treated, it’s skillfully injected into the areas of your face where it’s needed. Fat injections are especially useful for the lips, cheeks, temples and under the eyes. Why Do Patients Choose Fat Transfer to the Face? With several available options, many patients prefer fat grafting for the face because it offer natural-looking results. The fat that is transferred from donor areas of your body will behave like all of the other fat cells in your body, which is why the results look and feel very natural. Many patients prefer this treatment because it doesn’t require ongoing maintenance treatments. All dermal fillers offer temporary results, and to keep the results, you must receive ongoing treatments. Fat grafting offers more permanent results. During a consultation at Shapiro Aesthetic Plastic Surgery and Skin Klinic, you can learn more about how a fat transfer to the face can benefit you. Contact us today to schedule a consultation at our office in Scottsdale.